Water is essential to life. You know this! Since you were young, you have been told how important it is to drink an adequate daily amount, but have you ever understood why it is so important? Human body weight is two-thirds water. 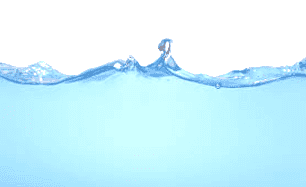 Your brain is 95 percent water. Your lungs are 90 percent, and your blood is 82 percent. Signs of dehydration can be triggered with only a 2 percent drop in water supply. What you may not know is that even a tiny decrease in water supply causes very small symptoms you might barely notice or even associate with dehydration. Snoring happens to be one of them. Can Drinking Water Really Reduce Snoring? How often do you wake up with a dry throat and mouth? Maybe you have nose bleeds because your nasal passages are so dry. Mucus membranes are easily dried when they are not provided with enough water. If you are not drinking enough water, your body is going to take what it gets and disperse it to the most crucial organs that need it the most. Drinking the recommended amount of water ensures that your body has enough to share with “less important” elements, like your mucus membranes. So, what’s the big deal about these membranes? Secretions in your soft palate, nose, and throat become sticky when you are dehydrated. If you have soft tissues already touching and vibrating to create a snoring sound just imagine how amplified this is going to be when air has to push through tissues that want to stick together. Also, snorers are more prone to reaching for caffeine and high-calorie snacks throughout the day for energy because they wake up tired. Sound familiar? Staying hydrated improves metabolism and helps curb cravings. So, if extra pounds are also contributing to your snoring, staying hydrated will help. Despite what many think, dehydration is likely what is causing your stomach to growl. So before you go and buy a snoring mouthpiece, such as zQuiet, try drinking some water!